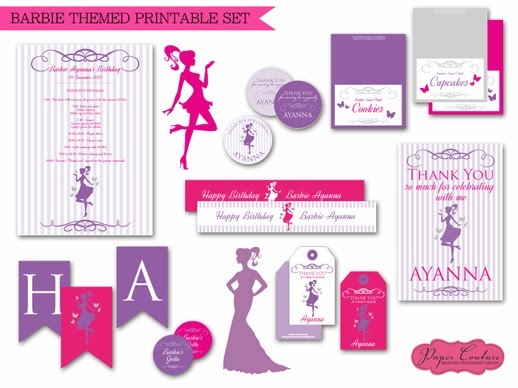 Paper Couture Stationery: Ayanna's elegant Barbie themed party! 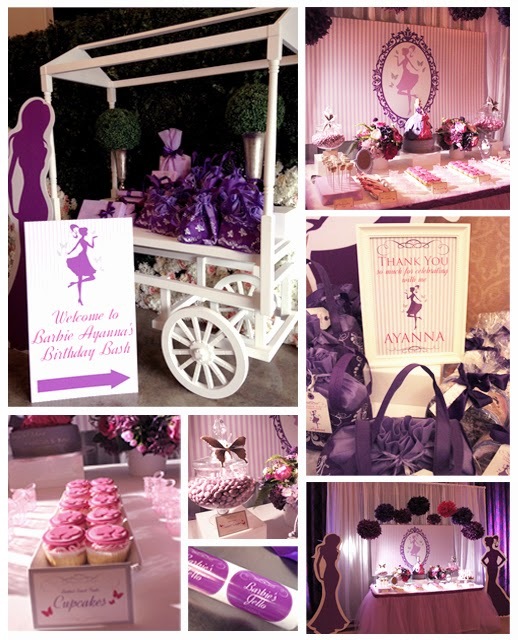 Ayanna's elegant Barbie themed party! Barbie themed parties can sometimes look over the top, bright & colourful, which is why I loved working with Mind Blowing Balloons to create printables for this beautiful Barbie themed party in honour of little Ayanna. We used all the colours the client requested which were shades of pinks and purples with just a silhouette of Barbie to keep the whole look pretty and elegant. Below are all the printables I designed which consist of stickers, menu tags, program, water bottle wrappers, thank you tags, bunting and silhouettes we used as foam boards around the event. I also managed to get a few images from the party so created a montage as well.